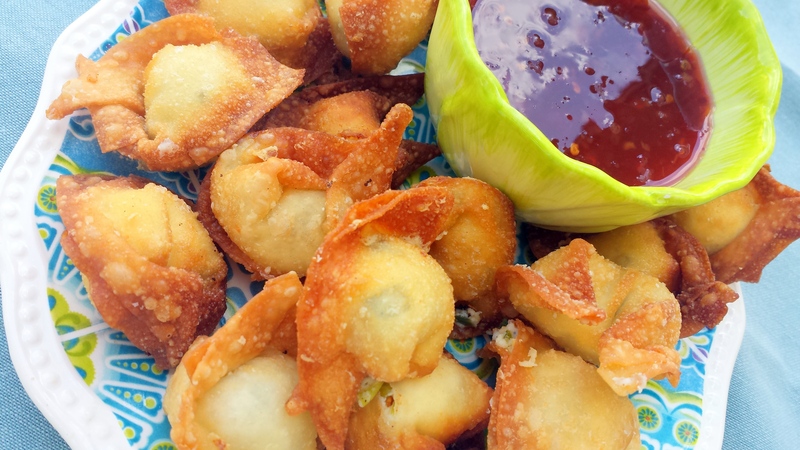 Crab Rangoons are great for your favorite game day party but also a delicious appetizer for any party or even as a snack for any day. My grandson is always wanting me to make or buy them. Why buy them when they are so easy to make. You can make a double or triple batch ahead of time, freeze them and pop into fryer or oven just before you want to serve them. Today I’m making them for the NCAA tournament and Michigan State University is playing. In addition to Crab Rangoons, I will make Jalapeno Party Poppers, Bacon Wrapped Potatoes with Sriracha Dip and New Orleans Feta Dip Appetizer. 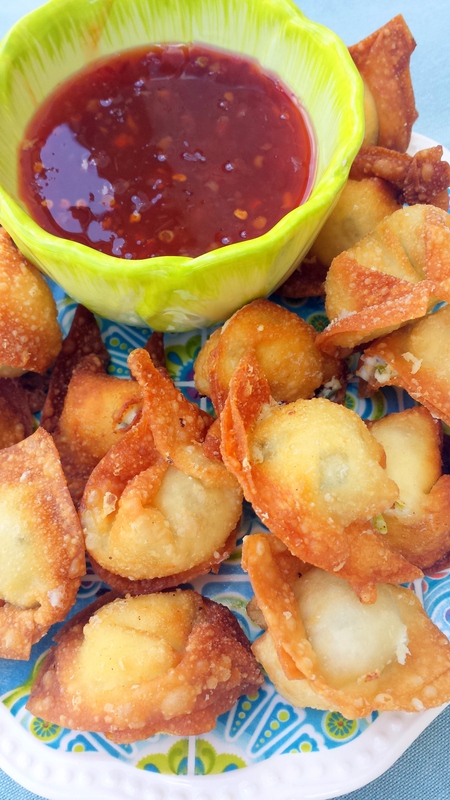 Crab Rangoon is one of those easy recipes to make that everyone loves. 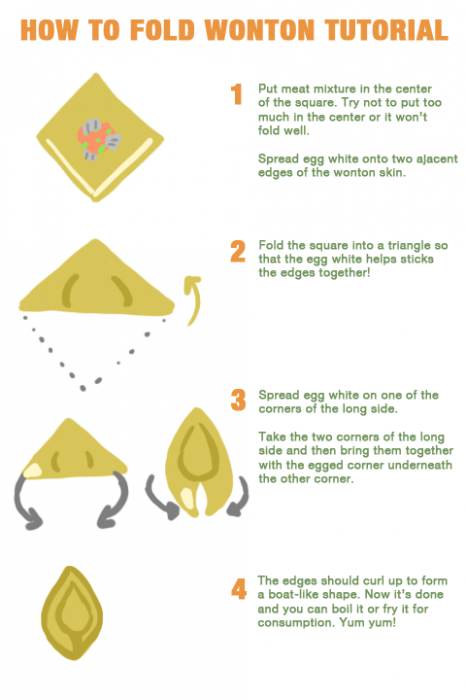 Here is a diagram for folding wontons. Crab Ragoons are filled with cream cheese, crab or Krab, green onions and served with a spicy sweet sauce and are delicious for parties, or even to make for or with your children. In a bowl, mix cream cheese, crab or Krab, minced garlic, and green onions. Place 1 teaspoon of cream cheese mixture on the middle of wonton. Use your finger to wet the edges of the wonton and fold over to make a triangle and press to seal. Bring the two corners of the triangle together and press to seal. Heat oil in large skillet or deep kettle until hot. Reduce heat to medium. Fry the wontons 6-10 at a time depending on the size of your kettle, watching to make sure they do not burn. turn if needed.